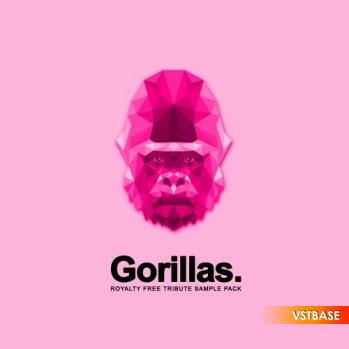 Samplestar are very proud to present Gorillas - The Tribute Pack! Here at Samplestar we’re massive fans of the Gorillaz©. Known for their quirky & eccentric production through the exploration of electronic and hip-hop influences, we set out to produce a fresh forward thinking sample pack aimed at helping to inspire producers who are looking to add a little Gorillaz© style magic to their work flow. Using a selection of of both modern and vintage gear from Samplestar studios - expect to hear everything from retro lofi drum computers right through to lush jupiter pads and deep 101 basslines. All content has been carefully mixed and eq’d for optimum sonic balance while allowing plenty of extra headroom for further processing and also final mastering stages. • 10 x Lofi Breakbeats: Vintage funk induced drum loops ready to chop up or drop straight into your new project. • 10 x Retro Analog Drum Loops: 0ld skool drum loops for adding quirky & kitsch grooves. • 5 x Live Bass Loops: Funked up live sampled basslines. • 5 x Brass Loops: Organic brass motifs.